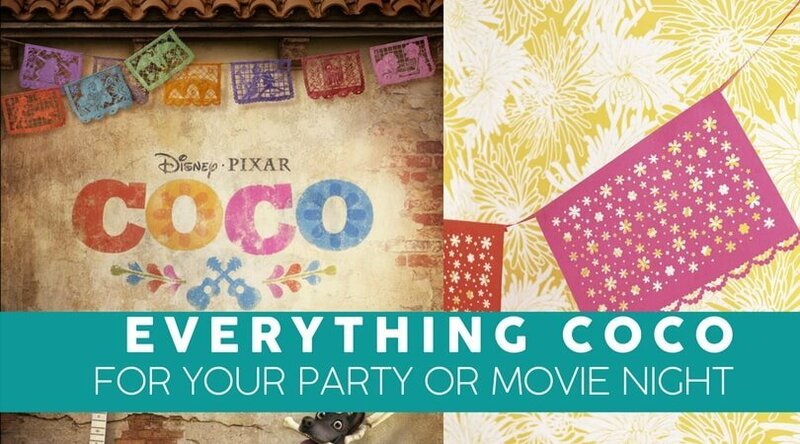 Everything You Need for a Coco-themed Party or Movie Night! You are here: Home / Party Planning / All the Activities You Could Want for a Coco Movie Night or Party! Have you seen Pixar’s latest movie, Coco, yet? It’s taking the world by storm and is one of the most visually beautiful movies I’ve seen all year! 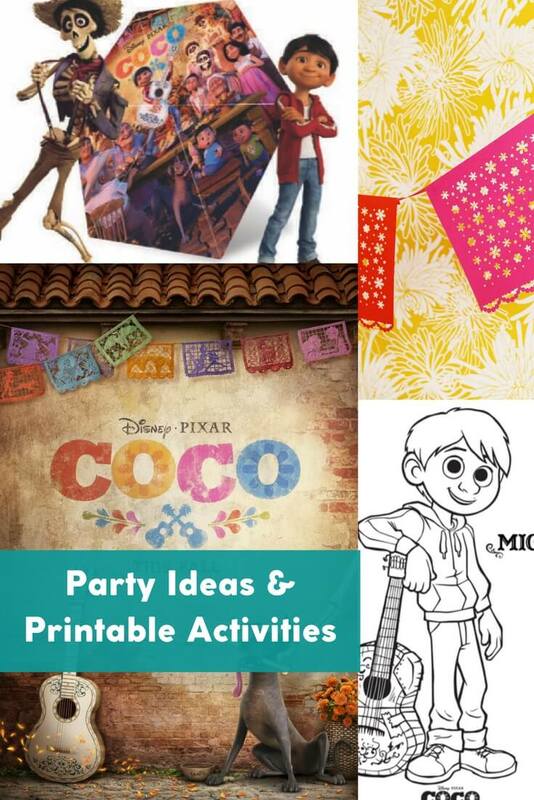 I have a feeling that a themed Coco Party or movie night is going to be super popular for quite some time… so how about some party ideas, recipes, decor, and more? Read now, or pin it for later! While I’m still unsure whether I agree with the absolutely incredible reviews Pixar’s Coco is getting, there’s no denying that it’s a fun movie – and one that does an excellent job at addressing a culture different than my own (and that of most of you who visit this site regularly). 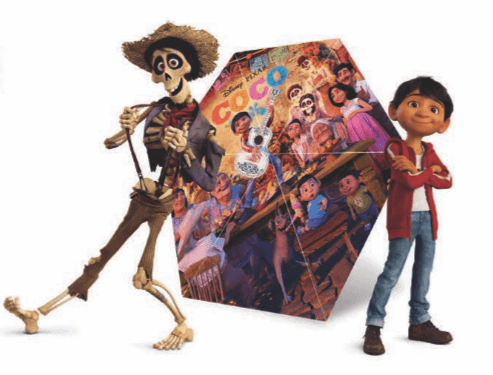 Whether you’re reading this around Halloween time and want to have a Dia de los Muertos (Day of the Dead) themed celebration, or you’re here for a young Coco fan that whose party is coming up, I’ve rounded up some of the best activities. And let’s be honest, the colors and beautiful sugar skulls are just screaming to be turned into party decor. 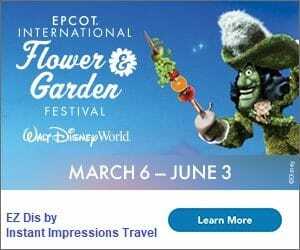 We may have to have another “Disney Family Day”, just to create something beautiful out of this theme! 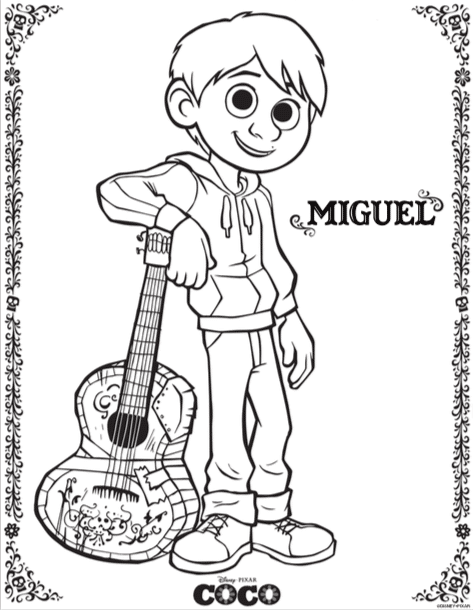 Click the pictures to pull up a printable version of these Coco coloring pages. 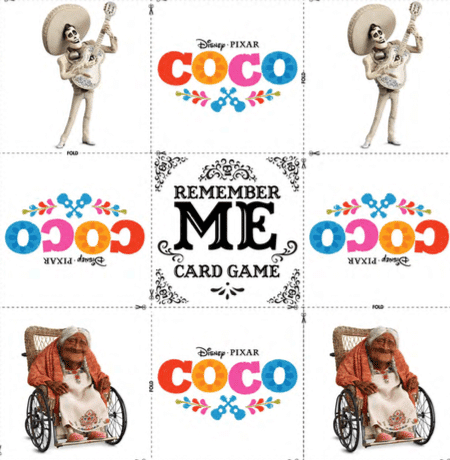 Click to print out this super fun Coco matching game (with more pages)! 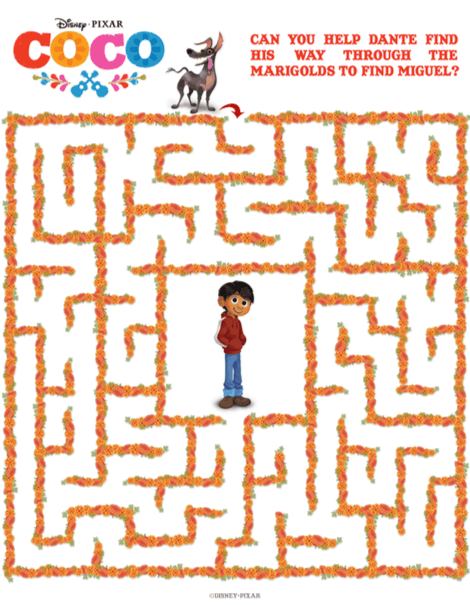 Help Miguel find his way along the marigold path! 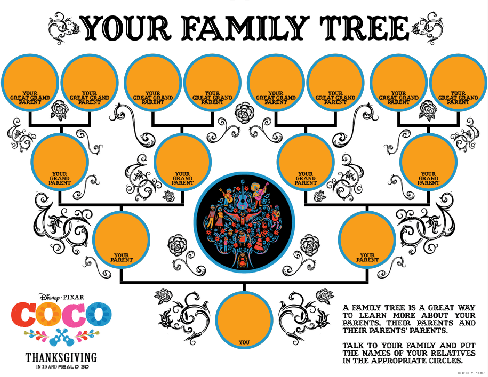 Continue the theme of family with this Family Tree activity! Make beautiful paper marigolds with these simple instructions. 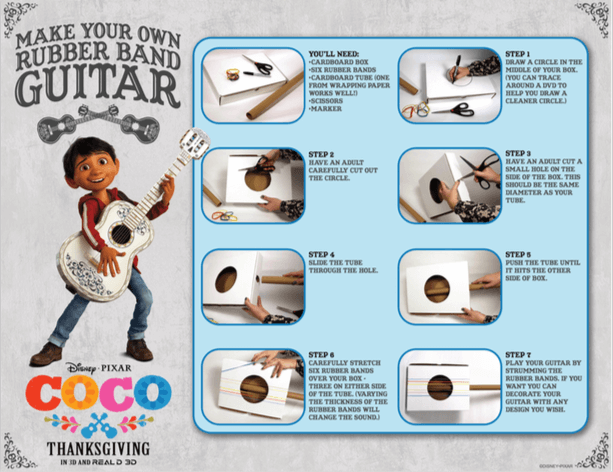 We’ve done a similar craft with my kiddos when they were quite small (for a Three Caballeros party, incidentally), and it went over so well. The yellow-orange tissue paper you’d use for marigolds would be so bright and fun! 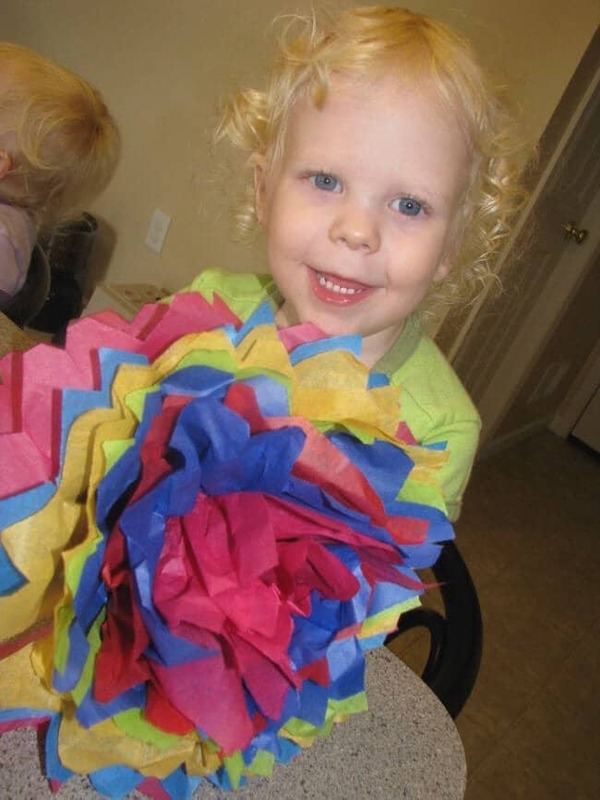 Using yellow and orange tissue paper to make marigolds makes this fun tissue paper craft perfect for Coco events! 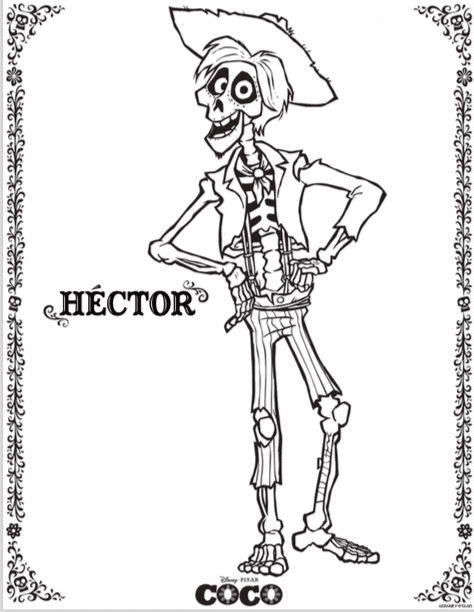 This “hexaflexagon” is a cool mathematical craft that you flip inside out to show scenes from Coco. It’s actually much more simple to make than it may seem! Click the picture for instructions! 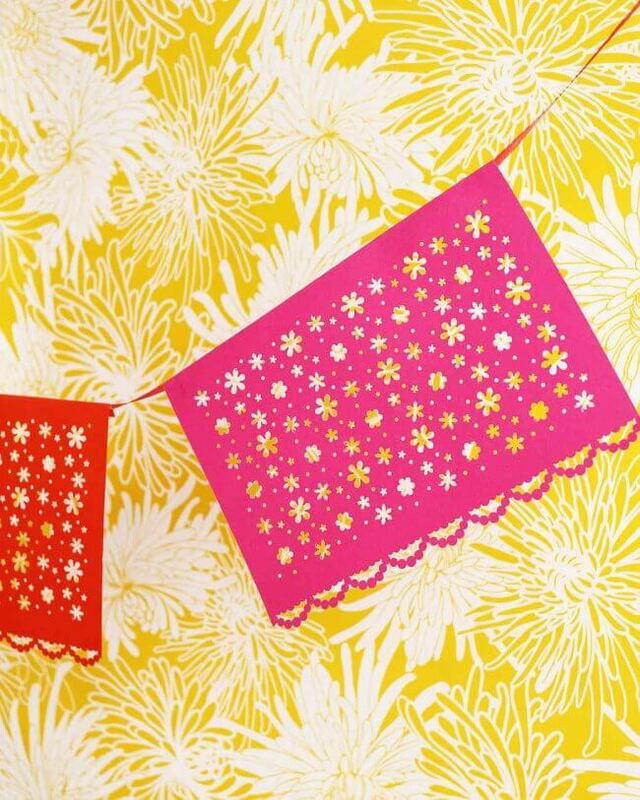 The bright colors will definitely make a Coco or Day of the Dead party stand out, and some of these decorations are easier to make or find than you may think! 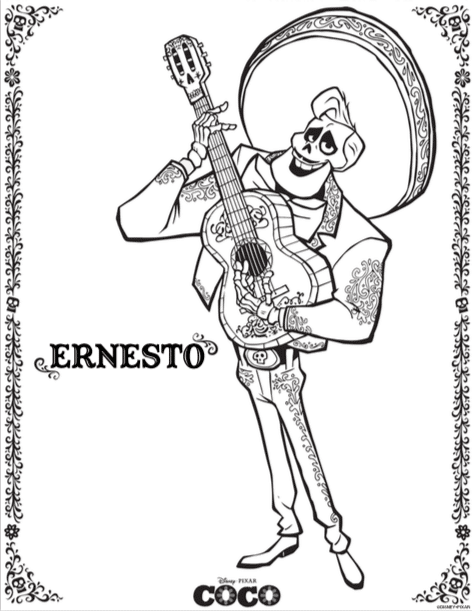 These paper flags are extremely reminiscent of the opening scene of Coco, and are seen throughout the Dia de los Muertos celebrations in the movie. And according to this Martha Stewart post, they’re quite easy to make! You can also get a great selection from Party City, or use the tissue paper marigold activity above to decorate on the cheap! And then wash it all down with this delicious Mexican Hot Chocolate! Don’t forget to pin these Coco party ideas for later! It’s official. We’re definitely going to have to have a party when Coco is released for home viewing! 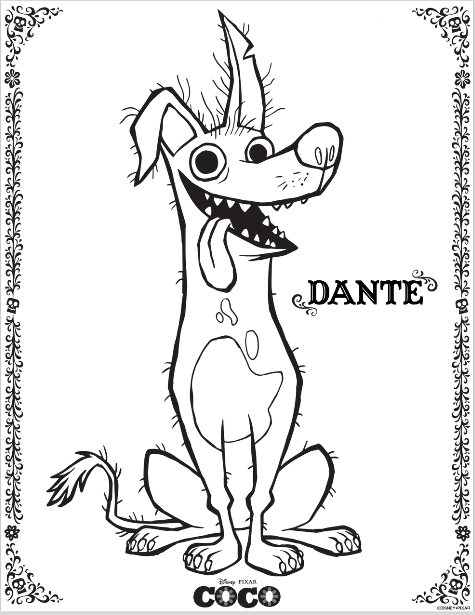 I’d love to see how your Dia de los Muertos party or movie night turns out! Thanks so much for letting me know! I’ll fix it in the post now. Sorry about that!